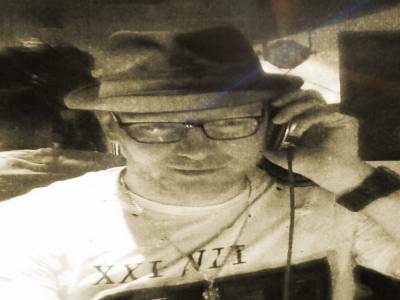 "Mobile DJ With Own Equipment + Dance Show"
I'm Mario, mobile DJ in scotland, based in Fife but willing to travel a reasonable distance.MASSter - Mobile Audio & Sound Solutions.My philosophy is simple: "If you can't come to the party, the party will come to you! "If it's either your birthday or surprise party, corporate event or you just want to sing along with your friends - I'll be there with all equipment to be sure, you don't have to worry about anything, but just have a great fun.I've my own new equipment, includes:- a powerful and clean sound from ALTO- interesting lights effects- fog and bubble machine- full HD projector and medium and large screens, not only for karaoke - I also play a lot of music cideos- professional wireless microphones from Shure- mixer with built-in effects- vocal processors.This equipment could be configured depends on the needs, of the venue or particular event/gig.Feel free to contact me and ask for more details. Required by many venues, MASSter Mobile Audio & Sound Solutions has a current PLI policy with Insure4Mus in the amount of £5 million. Also required by many venues, MASSter Mobile Audio & Sound Solutions has supplied satisfactory evidence of holding current PAT inspections of their equipment dated within the last 12 months. A Method Statement, outlining MASSter Mobile Audio & Sound Solutions&apos; Health & Safety procedure for setting up disco equipment has not been supplied. 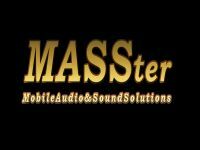 Why do people choose to book MASSter Mobile Audio & Sound Solutions? Based on price and what he could offer. Get FREE no-obligation disco quotes from MASSter Mobile Audio & Sound Solutions and other DJs covering your venue. Take 2 minutes to fill in some basic details and we'll do the rest! Playing all requests, dressed to the occasion. If you are contacting MASSter Mobile Audio & Sound Solutions about an event, it's always a good idea to include the DATE, LOCATION, EVENT TYPE, AGE GROUP and TIMINGS to speed things up!